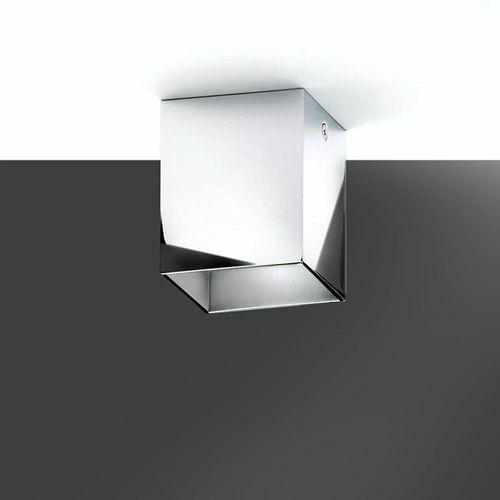 A series of minimalist lines based on the square as a perfect geometric shape, from which the volume of the various models is constructed by extrusion. Its sharp edges give a completely clean image of the volume that each model acquires. 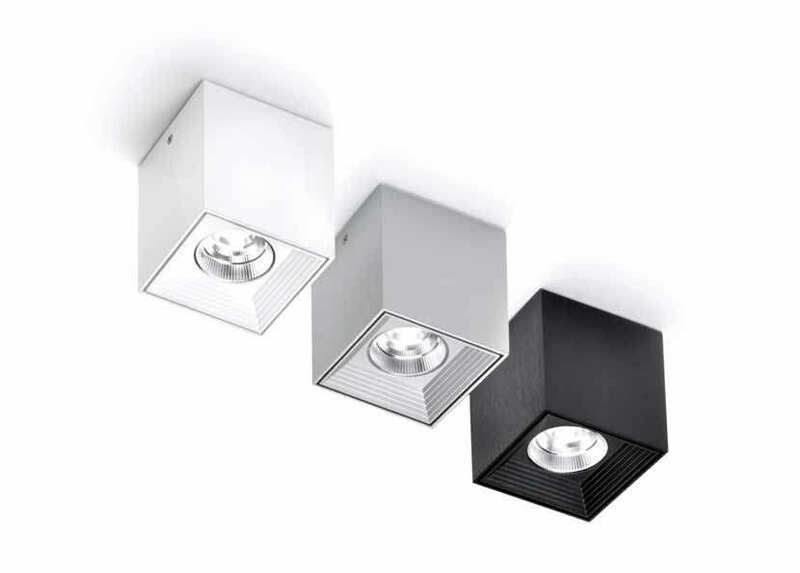 The outer body is made of extruded aluminium, while the inner body where the integrated LED unit is housed is made from injection-moulded aluminium, so that it performs a dual function: housing and securing the LED unit, while dissipating the heat emitted by the LED. 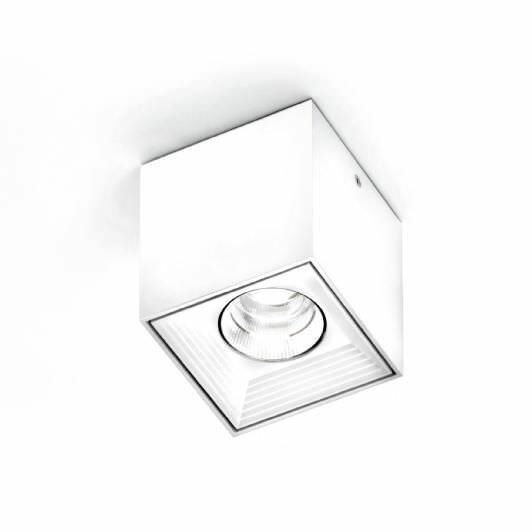 The wall fastening base is manufactured in extruded aluminium, and the base mount in injected aluminium. 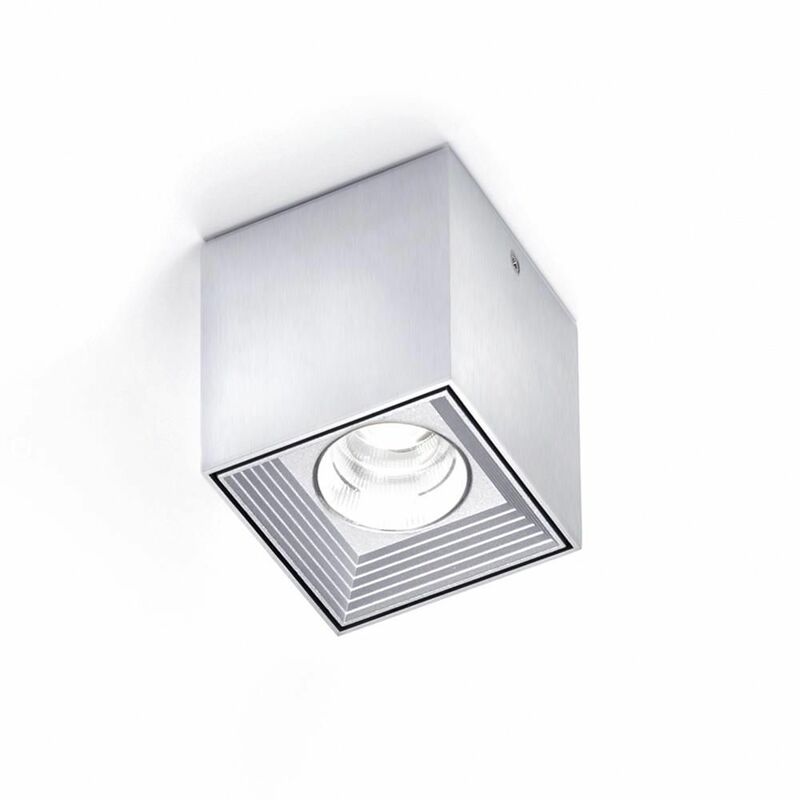 It incorporates an integrated 10 W COB (Chip On Board) LED with a luminous efficiency of 1,010 lumens. 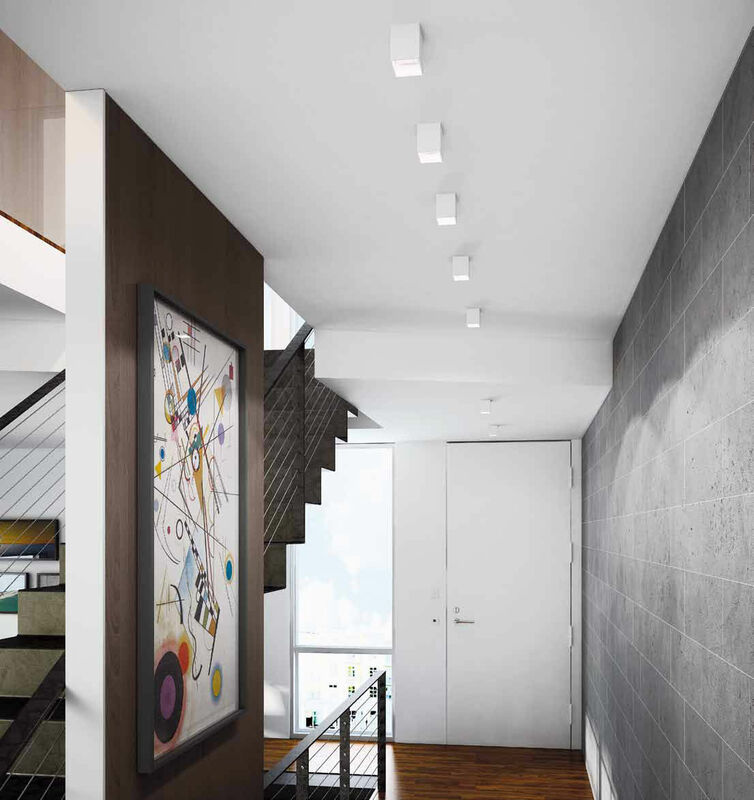 This LED complies with the LM-70 standard (stipulating at least 70% lumen maintenance by the LED of 50,000 hours) and with level 3 on the MacAdam spectrum, which means that the colour rendering cannot be distinguished by the non-expert human eye. It incorporates an intensity control driver. It comes in three finishes: varnished brushed aluminium, varnished brushed black aluminium, and matt white lacquer.